News for and about University of Portland faculty and staff. 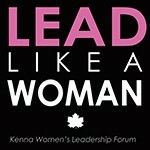 The Kenna Women’s Leadership Forum will present Elizabeth Pasztor, vice president of the Boeing 747 Program, on February 4, at 7 p.m., in Franz Hall Room 120. Her talk is free and open to the public, and is co-sponsored by the Bauccio Lecture Series. Pasztor is one of two women vice presidents in engineering at Boeing Commercial Airplanes, and has worked in autoflight/flight control systems for many of her 30 years at Boeing. For more information contact Molly Cullen, residence life, at cullen@up.edu. The ACS student club also won a third place award and plaque for their activities from the past year. Anissa Rogers, sociology and social work, published the 5th edition of her textbook, Human Behavior in the Social Environment, with Routledge Publishers. On Tuesday, 16 April, Bohn Lattin, communication department, conducted two public speaking workshops for “Young Leaders from Africa with World Oregon.” Each year, World Oregon, in conjunction with the United States Department of State, hosts several youth leadership exchange programs which brings young leaders from around the world to the U.S. for a three-week leadership development course. The public speaking workshops were a part of the “Young Leaders from Africa” leadership development courses. Students from The Gambia, Mozambique, Sudan, and Kenya attended. Lora Looney, Spanish, presented “Uncovering Spain’s Genocidal Puericulture State through Allegories of Disobedience in Ana Maria Matute’s 1956 ‘Los niños tontos’ (‘The Foolish Children’)” at the conference on Denial: The Final Stage of Genocide at the Center for Holocaust, Genocide, and Human Rights Studies at the University of North Carolina at Charlotte. Nicole Ralston, education, presented “A program evaluation of an innovative alternative school: Preventing dropout and promoting post-secondary success” (with James Carroll, Jacqueline Waggoner, Rebecca Smith, and student co-presenters Zuly Naegele and Cara Wright) at a roundtable session at the American Educational Research Association (AERA) annual meeting, Toronto, Canada, April 2019. Ralston also presented “Longitudinal impacts of a pre-kindergarten summer transition program on attendance and early literacy skills” (with Jacqueline Waggoner, Beth Tarasawa, and student co-presenters Matthew Thul, Danielle Trollinger, Karen Apgar) at a paper session at the same conference. Rachel Wheeler, theology, was invited to attend the Madeleva Lecture and New Voices Seminar at St. Mary’s College, IN, Center for Spirituality, St. Mary’s College, April 2019. September Nelson, nursing, presented “Relationships among workload, teamwork, and missed nursing care in nursing homes” at the Western Institute of Nursing Research Conference, San Diego, CA, April 2019. Matthew Kuhn, Shiley School of Engineering, served as moderator and discussant for the workshop “Granular Matter Across Scales,” Lorentz Center, Leiden, The Netherlands, March 18-22, 2019. UPbeat is a newsletter for University of Portland faculty and staff published through the marketing & communications office; submit information to Marc Covert, upbeat editor, at 8132 or upbeat@up.edu. Submission deadline is noon the Thursday prior to publication. Submissions may be edited for clarity, consistency, brevity, or style.